Under the Dome – A sneak peek at the upcoming CBS summer series based on the Stephen King novel of the same day that included appearances by cast members Rachelle Lefevre and Dean Norris. Then, earlier today I had the chance to attend panels for the upcoming Joss Whedon film Much Ado About Nothing that will feature among its cast actors like Clark Gregg, Reed Diamond, Alexis Denisof, Amy Acker, Nathan Fillion, Sean Maher, Tom Lenk and Fran Kranz (among many others) as well as a panel for the hit CW series Arrow that saw Stephen Amell, Paul Blackthore, Willa Holland and Colin Donnell on stage with executive producer Marc Guggenheim. All in all it was yet another great convention; and I will be providing further coverage soon both here and at NiceGirlsTV. I hope you will all stop by to read the articles when they are posted. 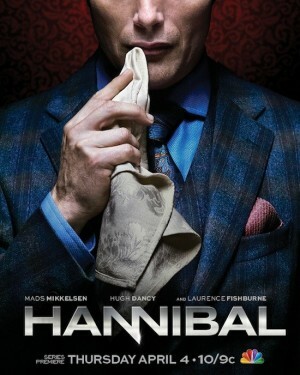 On April 4, the new NBC thriller Hannibal will debut at 10 PM. 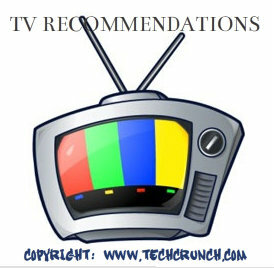 The series is a contemporary take on the characters from Thomas Harris’ Red Dragon novel that focuses on the fledgling relationship between FBI agent Will Graham (Hugh Dancy) and his mentor Hannibal Lecter (Mads Mikkelsen). The cast includes Laurence Fishburne and Caroline Dhavernas. Here is a trailer for Hannibal. 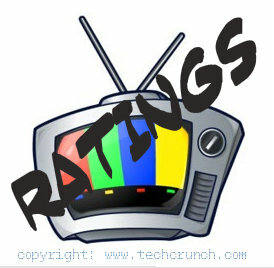 What did you watch last night? Please share. 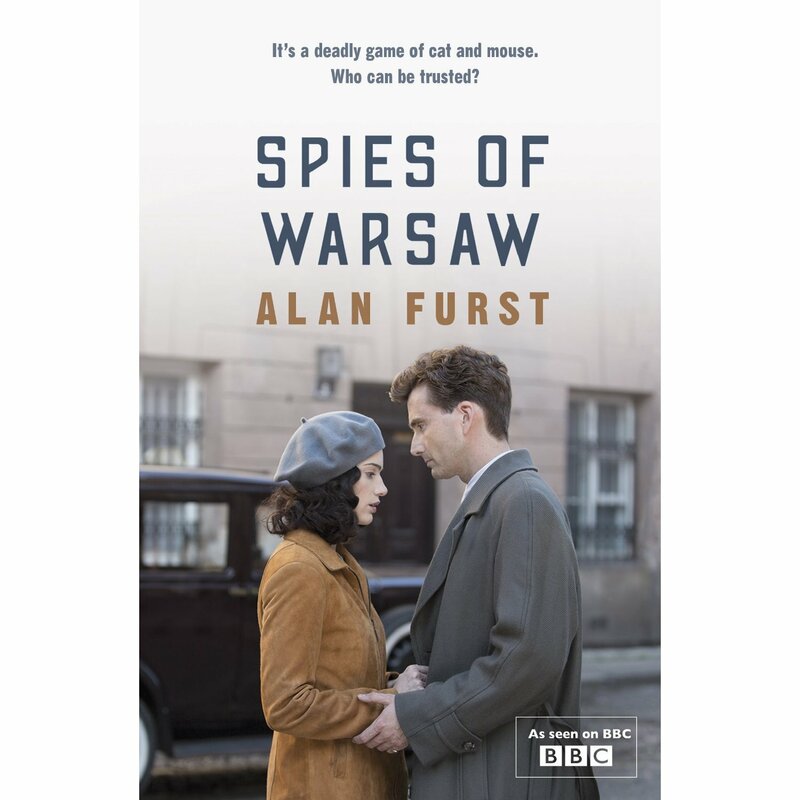 The BBC America 2-part mini-series Spies of Warsaw will debut on April 3 at 9 PM. French and German intelligence operatives are locked in a life-and-death struggle in the espionage arena. At the French embassy, a decorated war hero of the 1914 war, Colonel Jean-Francois Mercier (David Tennant from Doctor Who), is sucked into a world of abduction, betrayal and international intrigue from the diplomatic salons to the back alleys of Warsaw. Mercier simultaneously finds himself in a passionate love affair with Anna (Janet Montgomery from Made in Jersey), a Parisian lawyer for the League of Nations. Their complicated love affair intensifies as German tanks drive through the Black Forest. NOTE: The second part of this mini-series will air on April 10. Here is a trailer for Spies of Warsaw. Yesterday was the first day of WonderCon 2013 and the day went pretty well, all things considered. I arrived at the Marriott Hotel in Anaheim around 10 AM; being able to get checked into my hotel room early, then heading over to the convention center for registration. That process was pretty painless (thank God!) and I entered the exhibit hall shortly after the doors opened, getting to “hit” up my favorite photograph vendors and coming away with over a dozen new pictures to add to my burgeoning collection as well as buying a new Castle-themed t-shirt and a Firefly-themed hoodie from my favorite artist, the one and only Jason Palmer. Later that day I had the chance to sit in on the Beauty And the Beast panel, featuring series lead Kristin Kreuk and executive producer Kelly Souders. That panel started out with a special screening of half of the next new episode of the series that is set to air on April 18 (the series is currently on a three-week break). All I can say is that it is a heart-pumping episode that no viewer will want to miss; and the panel – while a bit short because of the tight scheduling inherent with the convention – was filled with what the ladies could share about the show and some behind the scenes tidbits. The night finished off with a two-hour screening event of the return episode of the current season of Doctor Who, which features series lead Matt Smith and the Doctor’s new companion Clara, as played by actress Jenna-Louise Coleman as well as the debut episode of the new BBC America series Orphan Black. While we were asked not to reveal too much about either episode since they will both air tonight, the new Doctor Who episode received nearly a full-room standing ovation while most of the audience who remained for the late-night screening of Orphan Black were clamoring for more. All in all it was a great start to this year’s fete and there will be even more coming today, including panels for the A&E mini-series Vikings, the popular alien invasion TNT series Falling Skies, a salute to the NBC series Revolution, an advanced look at this summer’s CBS series Under the Dome (based on the Stephen King novel), a TV Guide salute to Fan Favorite Showrunners, a spotlight on artist Jason Palmer and much, much more.